Elise: Today, I’d like to welcome Tatyana Trevena Rykov to Magic Writer. Tatyana, can you tell us a little about your job, please? Anna: Please, call me Anna. I hold a doctorate from Columbia University in Anthropology. Until recently, I had been an adjunct professor of Anthropology at Reister University, a small private college in Wellersburg, New York. I am currently in the employ of the Longborough Foundation for Ethnographic Research as a field researcher. Elise: Sounds interesting! What’s your particular area of expertise? Anna: My area of specialization is the Varangians, who were the Vikings that traveled across eastern Europe to the Middle East in the 9th and 10th centuries. Elise: Oh, that must be quite fascinating. What does a typical day in your job involve? Anna: I do not think that I have a typical day. During the academic year, there was the usual routine of lectures, tutoring students, and grading papers. But since – uh – I joined the foundation, my activities have largely been reviewing journals, newspapers, and magazines from around the world for articles relating to the foundation’s purpose and goals. Elise: And what’s your favourite part of the job? Anna: I prefer field work. I am a hands-on woman, and I like to get them dirty. 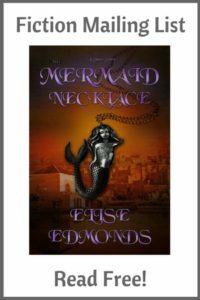 Traveling in exotic places, meeting strange and unusual life – uh – beings, and discovering miraculous artifacts. Elise: It’s always good to get out and about at work, isn’t it. Instead of being stuck inside all day. It sounds like you uncover some exciting things when you do your field research! What are your co-workers at the foundation like? 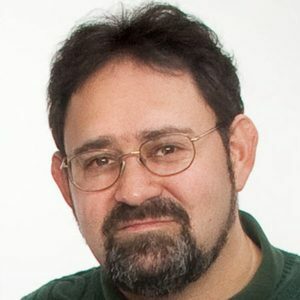 Anna: There’s Dr. Eliezer Feldman, the chairman of the Longborough Foundation for Ethnographic Research as well as as the librarian and official archivist for Reister University. He is a personable fellow, in a studious, fatherly way. Very concerned with the well-being of the staff. Dr. Harold Lamb is another field ag – uh – researcher for the foundation as well as a teaching physician at Reister University Hospital. He is the skeptic and hard scientist of our group, but also a devoted friend and quite a marksman. Father Sean O’Malley, of Saint Michael’s Church in Wellersburg, also does some work for the foundation. Sean used to be an adjunct professor of Ancient History, but joined the foundation at the same time that Harry and I did. Prior to coming to Wellersburg, Sean was the assistant of Father Christophe, the Vatican’s foremost authority on occult phenomena. Elise: That’s quite a mixed bag, isn’t it? And you have some unusual skills between you: marksmanship and occultism. One might think there was a little more to your foundation than meets the eye? *raises eyebrows and pauses* So, do you enjoy your job, Anna? I cannot maintain the subterfuge anymore. The Longborough Foundation for Ethnographic Research is the descendent of a trust fund started by some of the original alumni of Reister University in the early 1800s. The Director of the Reister University Library was given the responsibility for dealing with strange happenings that have occurred in and around Reister University almost since its founding. Jason Longborough, for whom the foundation is named, was a trustee of the university with a dark secret. On his deathbed, Jason asked me to sort out an indiscretion from his days as a student almost 50 years ago that resulted in the death of one classmate and the institutionalization of another. It was in the pursuit of this that Sean, Harry and I encountered alien beings whose methods and intentions are beyond our understanding, but who see something in humanity to be used as a tool to those ends. The experiences handling the threat innocently created by Longborough and his friends exposed us to other, similar threats. The Foundation was established to provide a plausible cover for these investigations. Elise: *mouth drops open* Wow! So there really is a lot more to the job. It sounds quite terrifying, uncovering ancient inhuman secrets. Did you have a lot of training to enable you to undertake this job? Anna: I did fieldwork in the Ukraine during the Russian Civil War. Being an ethnic Russian of American citizenship, I was not received very favorably by the Ukrainian peasantry, and found myself under the scrutiny of both the white and red factions, though I was protected by an American sponsored archaeological expedition. Nevertheless, I learned survival skills and honed my powers of observation at that time. However, my most significant training came when I traveled to another dimension, where my presence in that world was that of a spy and assassin. I found that I had gained acrobatic and stealth abilities that I had not possessed, and somehow retained them when I returned to this world. Doctor Lamb acquired his extreme marksman and perceptive skills in the same way. Elise: How did you get involved with the foundation in the first place? It’s a change from being an anthropology professor. Anna: When I was fourteen, my parents arranged my marriage to Fyodor Rykov, who had emigrated from our village to America. In exchange for becoming his bride, Fyodor brought my parents and I to New York. But my husband made no accommodations for my parents, who died from Typhoid in the slums of Brooklyn. For my part, my husband was a selfish and brutal man, but died from a heart attack two years after our marriage. He left me with a modest fortune, so I attended Columbia University and ultimately obtained my PhD. in Anthropology. However, academia remains a man’s world, and as an educated woman who might be a communist agitator, I found few opportunities. When Jason Longborough reached out to me and offered me a teaching post to fill a vacancy while some faculty were abroad on an expedition to Australia, I naturally accepted and moved from Manhattan to the small town of Wellersburg. That is where I met Sean and Harry, who had also been acquired by Longborough to fill vacancies. We later learned that our appointment was just part of a long list of preparations for the task he was to ask of us one year later. Elise: I’m sorry to hear about your bad experiences, although it seems that ultimately they led you to opportunity. Would you say this is your dream job? Anna: What we do is more the stuff of nightmares than dreams, but it is necessary. These alien intelligences think nothing of the human race and only a certain few have the knowledge, skills and resources to hold them back. I think of it as a calling. Elise: To finish off on a lighter note, do you have any interesting stories about your job? Anna: As I mentioned, I traveled to another dimension. While I was there, I encountered ‘my family,’ which is to say my counterpart’s mother, father, and little sister. They were complete strangers to me, but I found myself behaving as their headstrong, wayward, tomboy daughter. The sister was devoted to – the other me, and I found a strong affection to her, even though we had never met before. I was quite emotional when we had to part ways. Elise: Aw, a sweet experience, I’m sure. Well, thanks ever so much for joining me today, Anna, it’s been great. 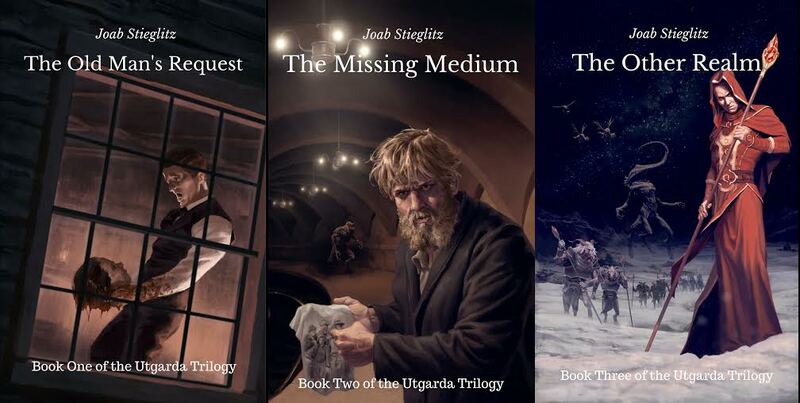 The Utgarda Trilogy (The Old Man’s Request, The Missing Medium, and The Other Realm), is a pulp adventure set in the 1920s and can be purchased at joabstieglitz.com. Fifty years ago, a group of college friends dabbled in the occult and released a malign presence on the world. Now, on his deathbed, the last of the students, now a trustee of Reister University enlists the aid of three newcomers to banish the thing they summoned. Russian anthropologist Anna Rykov, doctor Harry Lamb, and Father Sean O’Malley are all indebted to the ailing trustee for their positions. Together, they pursue the knowledge and resources needed to perform the ritual. Hampered by the old man’s greedy son, the wizened director of the university library, and a private investigator with a troubled past, can they perform the ritual and banish the entity? The Old Man’s Request is a pulp adventure set in the 1920s, and the first part of the Utgarda Trilogy. Joab Stieglitz is an avid tabletop RPG player and game master of horror, espionage, fantasy, and science fiction genres, which he plays 3-4 times a week. Joab is a Senior Business Analyst for a software company. He has also worked as a software trainer, a network engineer, a project manager, and a technical writer over his 30 year career. He lives in Alexandria, Virginia. Find Joab on Twitter and on his website. Hah! I knew Anna was hiding something… Great interview, and best of luck fighting those aliens, Anna!